Corrugated asphalt roofing and corrugated siding panels are the original roofing and siding panels and are a traditional staple in agricultural roofing applications. Today, usage of corrugated asphalt roofing and corrugated siding panels has expanded beyond its rural roofing heritage, corrugated asphalt roofing and corrugated siding panels add a traditional look to roofs of many restaurants, retail establishments, and roof of other commercial buildings. Corrugated asphalt roofing is a low-cost roofing material which comes in large panels that are designed to be easy to install while providing weather resistance. This roofing material is often used on sheds, garages, and other auxiliary structures, and in addition to being used for roofing, it can also be used as siding. Many home supply stores carry corrugated roofing, and it is also possible to order it directly from manufacturers. 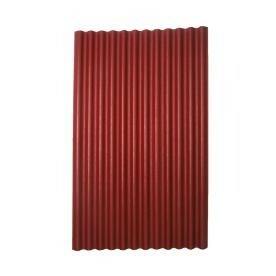 Metals and plastics are both used to make corrugated roofing. Metals are very durable, making them suitable for structures in harsh climates, and they can also be painted in a variety of colors, for people who prefer not to look at plain metal roofing and siding. Plastics may be clear or opaque, with some people using clear plastic corrugated roofing as a form of cheap skylights, allowing light into a structure without having to install a skylight. Greenhouses are sometimes built with corrugated asphalt roofing, since this material is very easy to work with. Once a greenhouse has been framed, it can be quickly covered with plastic roofing which admits light in while maintaining high temperature and humidity levels. For people who like to do projects on their own, a greenhouse made from corrugated roofing can be more lasting and durable than a structure covered in plastic sheeting, another common material in greenhouse construction.